If you’re still dealing with a standard thermostat with minimal features, you’re missing out on some of the outstanding perks that modern systems can offer. Bonita Springs, Florida, has challenging heat and humidity levels. With the right thermostat, you can step back from the comfort battle and let your powerfully automated system step in to keep you comfortable. Modern programmable thermostats give you enhanced control over your temperature settings, so you can minimize your energy use any time of the day. Set your thermostat to turn the temperatures back while you’re out of the home for less energy use when the house is empty. Program the system to adjust accordingly when you’re headed home and you’ll find the perfect temperature awaiting you when you step in the door. 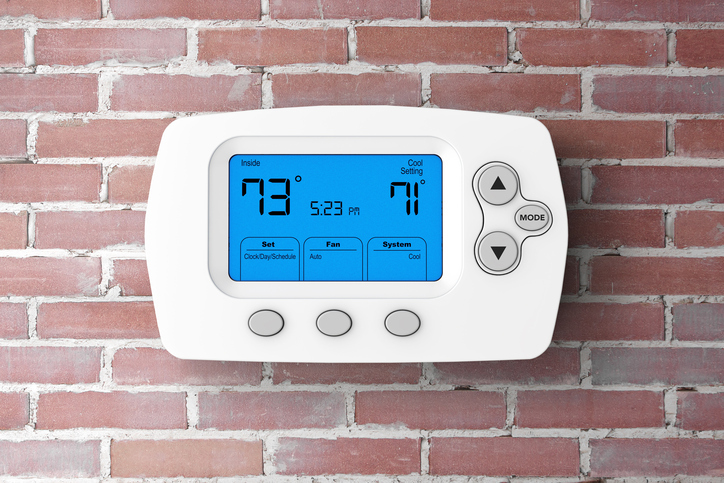 Today’s state-of-the-art thermostats consider far more than just the temperature in your home. The ComfortLink II XL950 monitors both indoor and outdoor temperatures and responds accordingly to deliver optimum comfort. It will remind you of filter changes and maintenance which ensure good indoor air quality, and even display contact information for your dealer for optimum convenience. You may not think of your thermostat as a piece of home décor, but with today’s modern installations, it can be just that. You can view the weather and other system details instantly on the bright display any time you need an update. When not in use, set your thermostat to work as a digital picture frame. Customize the screen to display a favorite picture or a changing slideshow, so you have a different image to enjoy every time you walk past. If your thermostat isn’t offering the convenience and comfort you deserve, consider investing in an upgrade. Contact Certified Heating and Cooling Inc. at 239-205-8342 for all your HVAC service needs.